The word Sahara means the greatest desert in Arabic. 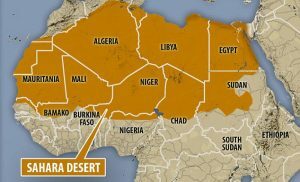 But it is the third largest desert, first two are Antarctica and the Arctic which are cold deserts. It is the world’s largest hot desert. The sand alone from this desert can bury the entire world 8 inches deep.Its area is 3.6 million square miles Which almost equal to USA and China. 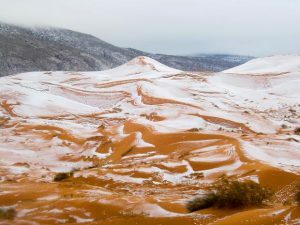 The desert covers large sections of northern Africa. It is one of the harshest places on the planet. 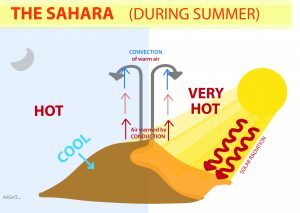 The sky is usually clear of the desert and the sunshine duration is extremely high everywhere in the Sahara. Over 82% of the time, most of the desert enjoys bright sunshine i.e. 3,600 hrs. annually. 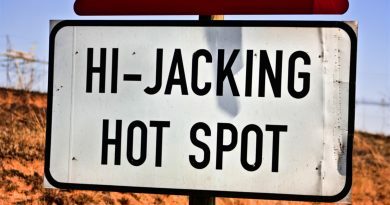 The temperature in this region can reach up to 56C. During daytime, the sand temperature is extremely high as it can easily reach 80 °C (or 176 °F) or more. A sand temperature of 83.5 °C (182.3 °F) has been recorded in Port Sudan. Sahara is not made only of sand. 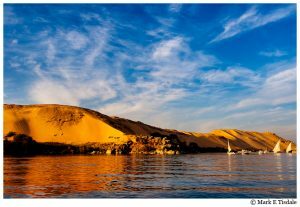 The highest peak in the Sahara is the volcano Emi Koussi which is 11,204 feet high in the Tibesti Mountains in northern Chad. 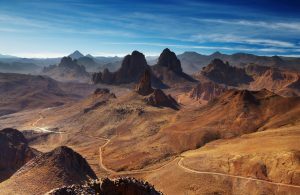 The desert’s other mountains include the Aïr Mountains, Hoggar (Ahaggar) Mountains, Saharan Atlas, Adrar des Iforas and the Red Sea hills. 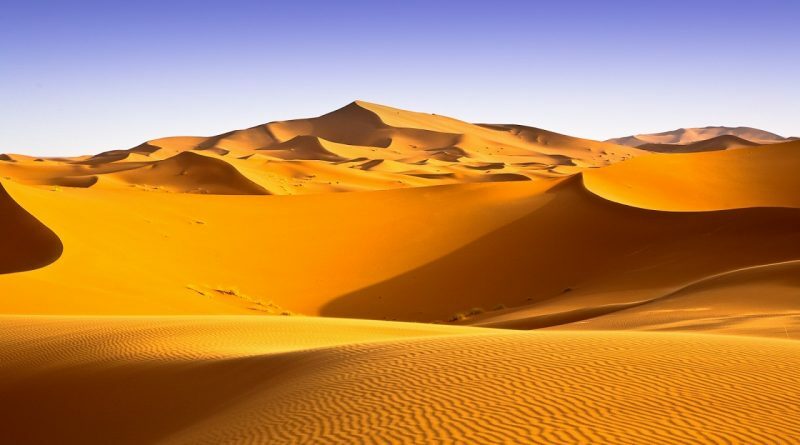 There are sand dunes in the Sahara as tall as 590 feet. Sand dunes are the mountains of sand formed by strong wind. These wind can easily form take it away.The Sahara’s northeasterly winds can reach hurricane level and often give rise to sand storms and dust devils. Most of the streams and rivers in the Sahara are only seasonal. The main exception is the Nile River. It crosses the Sahara and empties into the Mediterranean Sea. There are several underground water sources called aquifers. They sometimes reach the surface and form oases. Some of these are the Siwa, Kufra, Timimoun and the Bahariva. There is little water to sustain life in the most part of the Sahara. Some exceptions include the Nile Valley, a few oases, and the northern highlands, where Mediterranean plants such as the olive tree are found to grow. There are around 2800 species of vascular plants in Sahara. 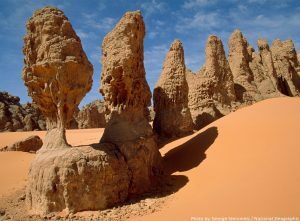 The central Sahara is estimated to include five hundred species of plants, which is extremely low considering the huge extent of the area. 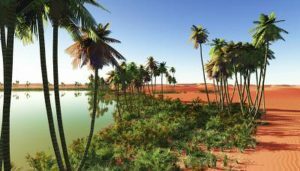 with little water or vegetation, it is very difficult to sustain life in the most part of the Sahara. Several species of fox live in the Sahara. 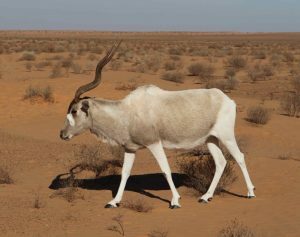 The addax, a large white antelope, can go nearly a year in the desert without drinking. There remain fewer than 250 mature cheetahs, which are very cautious, fleeing any human presence. Rodents, snakes and scorpions thrive in the desert environment. The desert is home to the deathstalker scorpion, which can be nearly 4 inches (10 cm) in length. 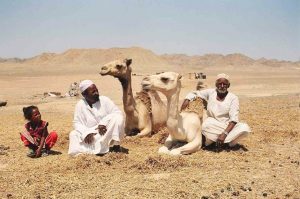 Goats and camels are most domesticated animals in this region. Camels, most often associated with the Sahara, were introduced to the desert around 200 A.D. Their advantages over the horses they replaced include soft feet that are aligned so that they can move quickly and easily through sand and their ability to go for up to 17 days without food or water. Sahara desert was once under the ocean. This ocean stretch almost half way around the world and connected Asia to Atlantic. It’s called the Tethys sea and much of Sahara was submerged under it. The entire African continent is under pin by a giant tectonic plate called African plates which are moving north. And 40 million years ago it collides with Europe so it uplifts the northern part of Africa and it became vast grass land with 3 mega lakes and two interconnected river system. 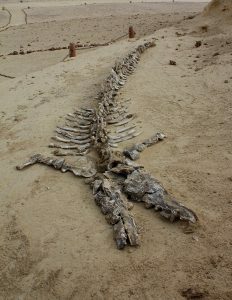 Fossils of a modern whale that died 36millions years ago were found here. Scientists are still trying to pin out exact reason of conversion of this vast green land mass into the desert.